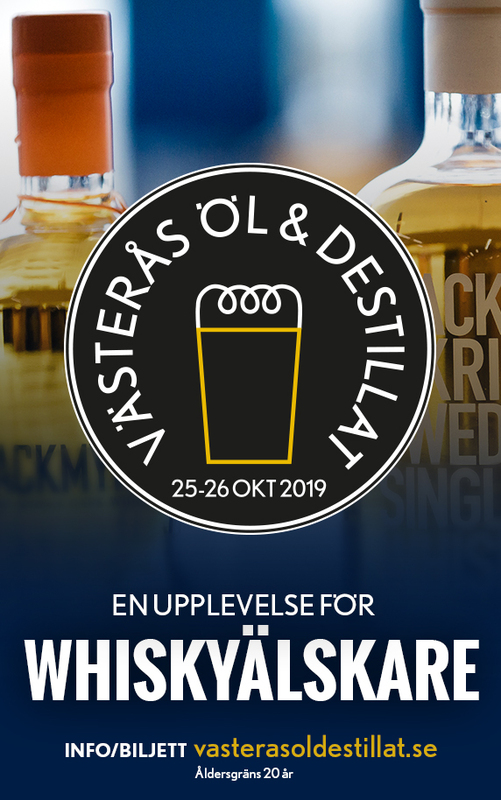 Vi har ju en förkärlek för temaveckor här på Whiskytower då vi tycker det är kul att fokusera på ett destilleri och dessutom kanske tipsa er läsare om whisky ni inte hört talas om eller inte tänkt på att prova annars. Denna vecka ska vi lägga vårt fokus på destilleriet Tullibardine som kanske inte är så känt i Sverige, även om deras whisky går att finna i beställningssortimentet. Destilleriet grundades 1949 och har kapacitet att koka 3 000 000 LPA per år i deras två pannpar. Vi lämnar nu över ordet till Keith Geddes som är master blender för Tullibardine. Hi Keith, please introduce yourself to our readers? 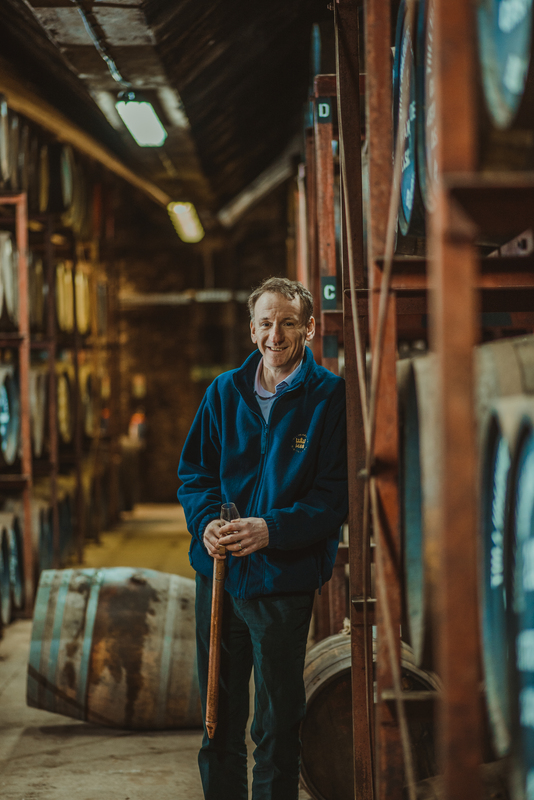 My name is Keith Geddes and I am the newly appointed Master Blender at Tullibardine distillery. The role mainly involves being responsible for creating exceptional single malts that our customers will enjoy. 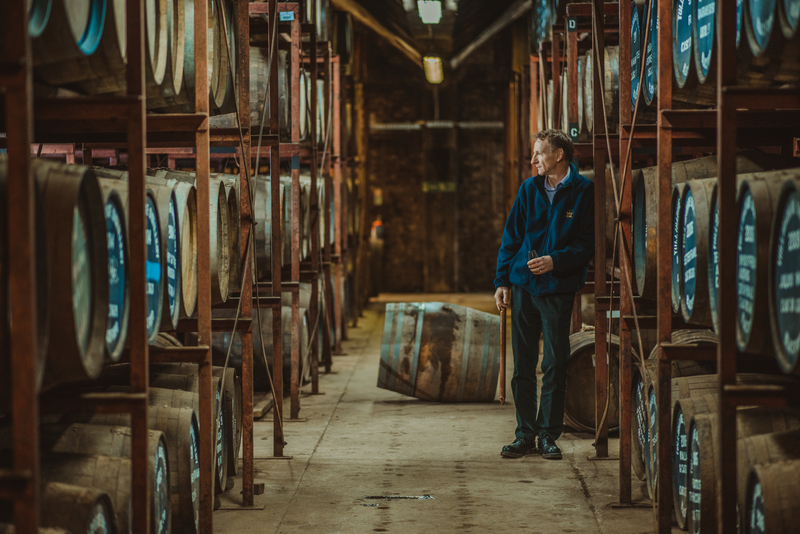 It requires a lot of patience, but every day is full of exploration and experimentation with different types of casks as well as sampling and testing. It’s very exciting to be responsible for continuing to push the boundaries of this fantastic spirit –the opportunities are limitless. How did you first get involved in the whisky industry? I was always interested in science at school, so I studied a bachelor’s degree in Physical Sciences with a joint honours in Chemistry and Biology. 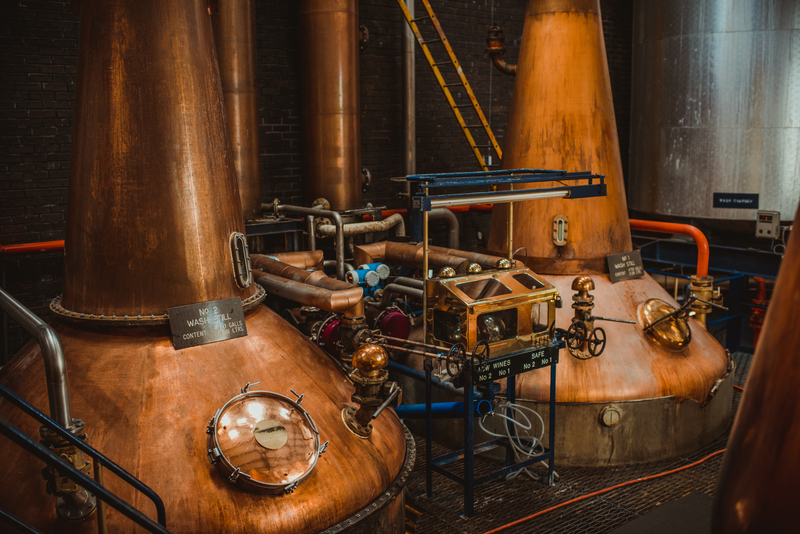 I then completed my postgraduate diploma in Brewing and Distilling from Heriot-Watt University in Edinburgh before working as a trainee with Carlsberg Tetley.I then worked as a distillery brewer at all nine Chivas Brothers sites including Glenlivet and Longmorn, and then branched into blending and spirit creation. Before making the move to Tullibardine I was an Assistant Blender at John Dewar and Sons, where I worked from 2008. Earlier this year, I accepted the role as Master Blender at Tullibardine Distillery. How would you describe the house style of Tullibardine and guide us through your core range? The house style is a very malty and bursting with vanilla flavours. Our signature expression, Sovereign, is really our classic serve and the whiskies in the core range are all reminiscent of this, but all are unique in their own way. The core range includes Sovereign, the 225 Sauternes, 228 Burgundy and 500 Sherry wood finishes and our 20 and 25 year olds. ⦁ Tullibardine Sovereign is beautifully golden, with floral sweet barley notes and subtle hints of vanilla. On the finish, there is fudge, pear drops and soft spice. ⦁ Tullibardine’s 225 Sauternes Finish is a wonderful, rich whisky, matured in first-fill ex-Bourbon barrels and finished in 225 litre Château Suduiraut Sauternes casks. This beautifully golden Tullibardine has hints of citrusy lime on the nose, and hits of vanilla and oatmeal. On the palate, there is a touch of tropical pineapple and zingy orange zest and finishes with a creamy edge. ⦁ The auburn hue of Tullibardine 228 Burgundy Finish comes directly from its time spent in the 228 litre barriques that previously held Pinot Noir from Chateau de Chassagne Montrachet. The nose of the 228 features red cherries and vanilla, with hints of chocolate and Turkish Delight. On the palate, there is a hint of red summer fruit, more chocolate and a sweet spice note on the finish. ⦁ Matured in first-fill ex-Bourbon barrels and then in 500 litre Pedro Ximenez sherry butts, gives this Tullibardine 500 Sherry Finish its nutty brown colour. There are intense toffee apple notes on the nose with a hint of oatmeal. These notes then combine with a spicy feel, then sweet dates on the finish. The older whiskies in the core range are smooth with delicious creamy, vanilla flavours. ⦁ Having been aged in first-fill ex-Bourbon barrels for a minimum of 20 years, the Tullibardine 20 is beautifully golden and floral on the nose, and delightfully balanced with hints of vanilla, honey and butterscotch. On the palate, you will experience these beautiful aged flavours combined with rich, creamy baked apples and chocolate, ending with an incredibly long, soft finish. ⦁ The Tullibardine 25 was matured for a minimum of 25 years in ex-sherry hogsheads. It is beautifully aged, with wonderful hues of red, orange and brown. Amazingly, no oaky notes appear at all for a whisky of this age. Instead, you’ll discover subtle vanilla, toffee and orange chocolate. This whisky has an incredible viscous quality that fills the mouth with baked banana, orange peel and a long, creamy, silky finish. Två av Tullibardines fyra pannor. What is your favourite whisky in the core range and why? I especially enjoy the Tullibardine 225 Sauternes. It’s a glorious example of how this particular finish works in harmony, with Tullibardine, adding complexity with the presence of tropical fruits and sweet vanilla flavours. What are your three favourite drams that you have not been involved in? Highland Park 18yo, Balvenie Double Wood and Compass Box’s Hedonism. Have you tried Swedish whisky? If so, what did you think of it? Unfortunately not, but I have heard a lot of good things and it is certainly on my list of whiskies to try. If you could have 3 people of your own choice for a whisky tasting, who would you invite and why? (dead or alive). Andrew Usher, the father of Scotch Whisky – to recount when he got his Eureka moment and his opinion of blends today compared to his day, Martin Luther King , a man who overcame a great struggle and a deserved winner of the Nobel Peace prize and for some humour you can do no better than the ‘Big Yin’ Billy Connelly. What kind of food do you think suits a dram of Tullibardine? It really depends on which dram you mean, but I think whisky can complement many foods. Whisky and chocolate pairings are great, and of course you can’t have a traditional Scots meal of haggis, neeps and tatties without a generous dram! 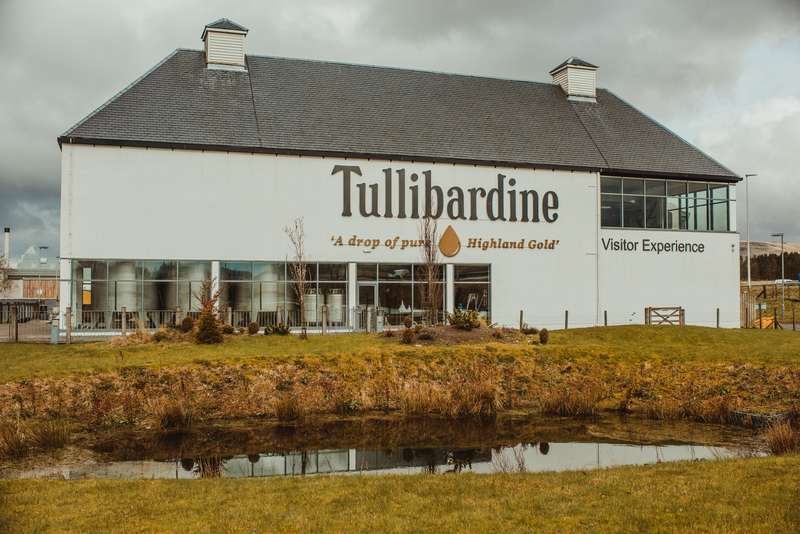 What’s on the horizon for Tullibardine? Any news you can reveal? We have a few things up our sleeve for the coming year. Our visitor centre is currently going through some renovations so that we can provide an even better experience for visitors, and we have some exciting new releases coming over the course of this year and next. Keith provar i Tullibardines lagerhus. How much of your production goes to blends? Due to its desirable style and high quality, Tullibardine is highly adaptable, producing both a great single malt range as well as being widely sought after for blending. What is your opinion on chill filtration and adding e-150 in whisky? Each individual company has their own views on this, but for me it allows consumer to enjoy the Tullibardine Core Range wherever they are in the world. For the more discerning consumer, our special The Murray (2004) release is non-chill filtered. Do you have any whisky advice for our readers? Enjoying a good Scotch whisky is one of life’s great pleasures with many now available to try. Sample, experiment and share with friends but above all else – enjoy! Vi tackar Keith för denna intervju!